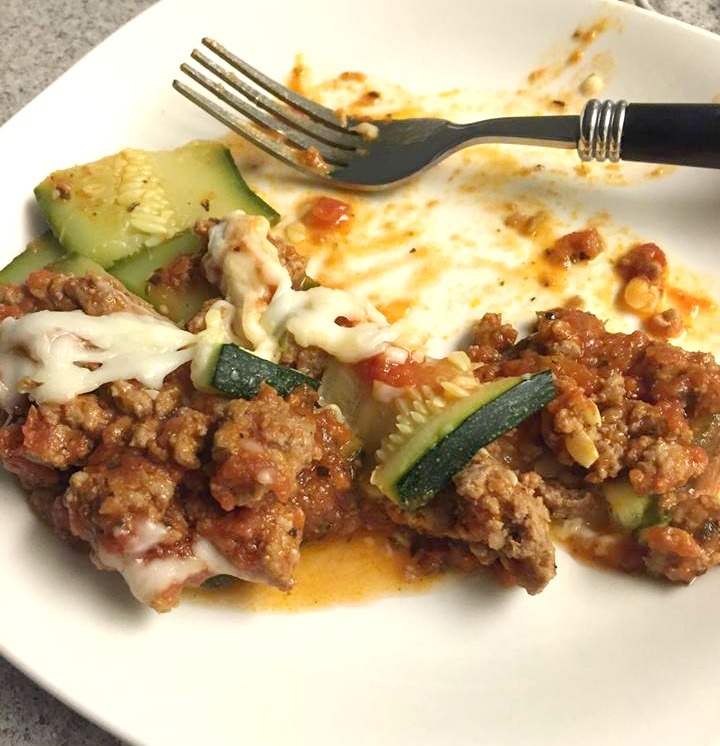 Over the weekend I made the best, low-carb dinner and had to share! I’ve been trying to cut carbs and eat lean, but I’ve also really been craving lasagna. 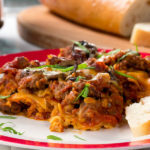 So I decided I needed a low-carb lasagna recipe ASAP, and then I remembered seeing a really great recipe on Everyday Diabetic Recipes for Healthy Twist Lasagna that I had wanted to try. Now, I’m not diabetic, but I love the recipes on this site. It’s an easy way to eat healthy since every recipe has complete nutritional information. 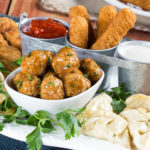 Plus, they follow the Mr. Food Test Kitchen’s “quick and easy” philosophy. So, I pulled up the recipe for Healthy Twist Lasagna and went to the store for ingredients. Little did I know I was about to make something so good, I’d cook it two nights in a row! 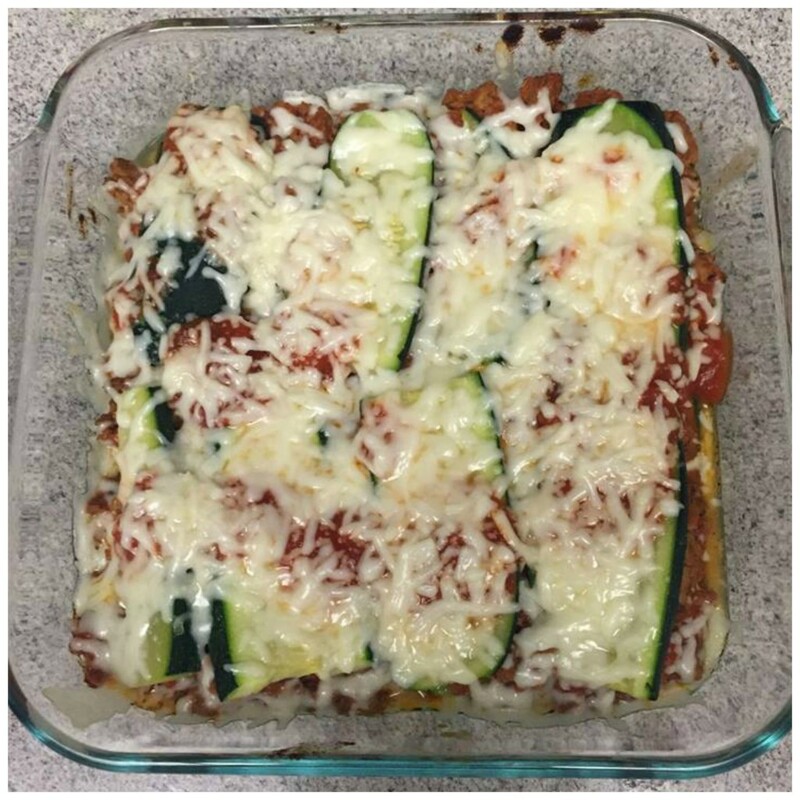 Healthy Twist Lasagna uses zucchini as a noodle alternative, so it’s low-carb. It also calls for low-sodium pasta sauce (but you can use your favorite). I was cooking for one so I cut the recipe down and used a smaller dish. It was super easy to follow and seriously good, just scroll down and see for yourself! First, slice the zucchini into strips. Then, bring your water to boil in a shallow pan. Add zucchini, cover, and let it steam. Once it’s all steamed up, remove zucchini, drain, and set aside. Next, use the same pan to brown the turkey. Make sure to drain the meat before adding the sauce and seasoning. Mix together and let simmer. Then let it bake, and sprinkle the cheese on top with five minutes left. Make sure to visit Everyday Diabetic Recipes for the full recipe! It was so good I ate more than half of it (seriously!). The meat was plump and tender from being simmered in the pasta sauce, and the added seasoning was perfect. But the most amazing part of the dish was the zucchini… it wasn’t mushy! Even after all that steaming and baking. It was perfectly soft, like a noodle – but not mushy. And as it baked, the zucchini really took on the flavor of the meat and pasta layer. Oh, and the melty wonderful mozzarella cheese on top was great. Not too much, and not too little. It totally satisfied my lasagna craving with layered, cheesy, saucy, meaty goodness. I snapped a quick shot while I was eating. I put the leftovers in a small storage container and ate them for lunch the next day. And then for dinner that night, I made more of the recipe with the ingredients I didn’t use the night before. I even called my mom and sister raving about it. My sister’s boyfriend in gluten-intolerant, so she was really excited to hear about a good, gluten-free lasagna recipe. I told them to visit EverydayDiabeticRecipe.com to discover more easy, healthy, and yummy recipes. You really don’t have to be diabetic to use it! What’s your favorite low-carb dinner? No-Bake Desserts for us with Diabetic Sugar problems. What can we use to taste sweet but will still bake without the sweet taste going bitter on non sweet. I have been using coconut palm sugar for baking. My family don’t notice the difference. It tastes a little like brown sugar. I find that a little goes a long way.